This is Wilco’s first visit to New York since the death of David Bowie, whose songs they (supposedly) sound-checked (but did not play) before this run of two shows at the Capitol Theatre in Port Chester before they head to King’s Theater in Brooklyn. 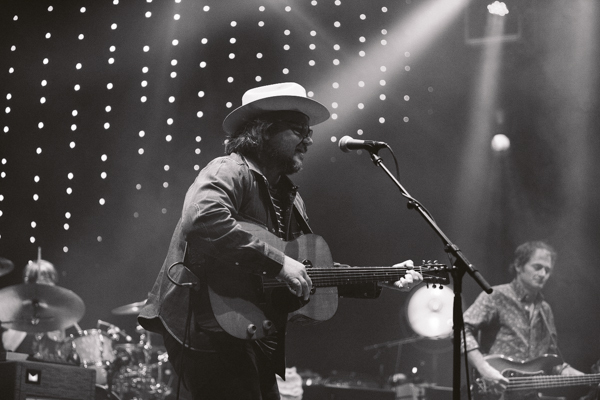 There’s a message somewhere in there about the fragile nature of longevity; look around at Wilco’s crowd, and they’re getting older; look at the band, and it’s the same story, and it will be in each year that this band continues its journey. But while that might be depressing to some, there’s great cause for hope, too: This is a veteran band touring an excellent and well-received new album, Star Wars that, in the meantime, is able to take us on a nightly journey through a catalog that includes everything from the gentle folk-rock of “Passenger Side” to the skronky rock of “The Late Greats” to the electronic-inflected sounds of “Art of Almost” to the noisy, conflicted “I Am Trying To Break Your Heart.” The band doesn’t reinvent itself so much as grow and expand and follow its passions, and their ability to do that without flopping (let’s face it, in most hands, the electronic experiment of “Art of Almost” would be a disaster — just ask anyone who listened to U2 1997) is a sign of their confidence of Jeff Tweedy’s considerable songwriting chops. Bowie set an even more ambitious template for this kind of thing, unafraid to assume different characters and sounds and styles from album to album (including his own electronic experiment, in that fated year of 1997). Whether all of Bowie’s moves were successful or not, he never let things get stale, right up until Lazarus, this year. Wilco may not be David Bowie, but they can claim to be one of few bands who’ve had a career this long who have kept it fresh this long. This show followed the familiar format of the Star Wars tour, taking us through the entirety of that album before segueing into a greatest-hits grab bag that included several of the same numbers as the previous night, though rendered more forcefully, plus some new appearances such as “I Am Trying To Break Your Heart,” “Jesus Etc.,” “Hummingbird,” and “I’m A Wheel.” If last night’s show had its share of equipment troubles that seemed to feed Tweedy’s sharp sense of humor (including unmissable “Kravitz” joke), tonight’s show was tighter and stronger, both in terms of the playing and setlist, and Tweedy (who had little to say) said as much. As with the previous night, the band wrapped up with an acoustic encore, this time highlighted by “War on War” and the incomparable “California Stars.” If this show wasn’t a groundbreaking departure, well, it didn’t have to be. This is a band still firing on all cylinders, making records people care about, and that’s a hard achievement to ignore. I recorded this set with Schoeps MK41V supercardiod microphones into the Aeta PSP-3 preamp for maximum clarity. 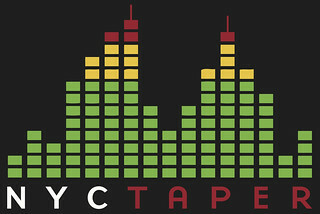 NYCTaper recorded this set with Schoeps MK4 cardiods for a somewhat more open sound (his recording coming soon). Both recordings are outstanding. Enjoy! Night One was recorded and will be available soon. A really strong show made memorable by the above mentioned lack of banter from Tweedy.